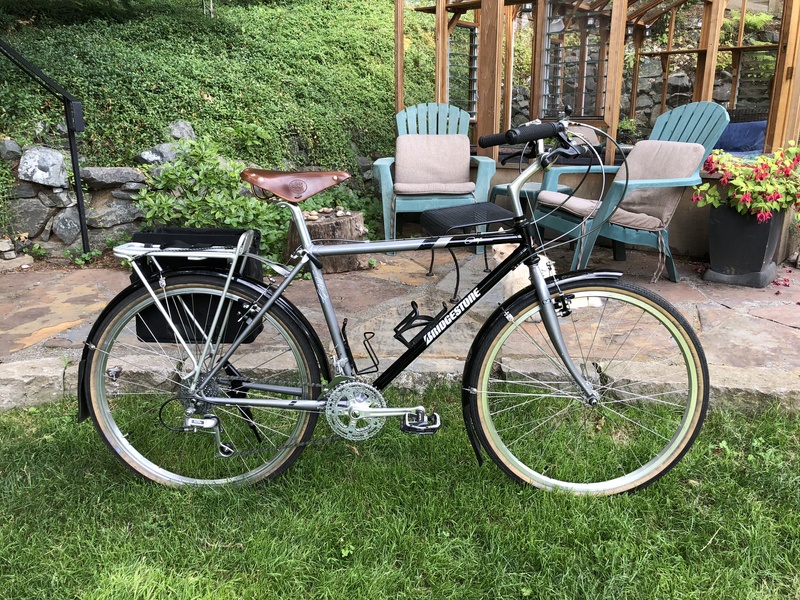 This entry was posted in Bicycle restoration, city cycling, Commuter bicycle, town bike and tagged Bridgestone MB3, Ritchey, Shimano Deore, Stronglight, Suntour by Nola Wilken. Bookmark the permalink. I love the bike! 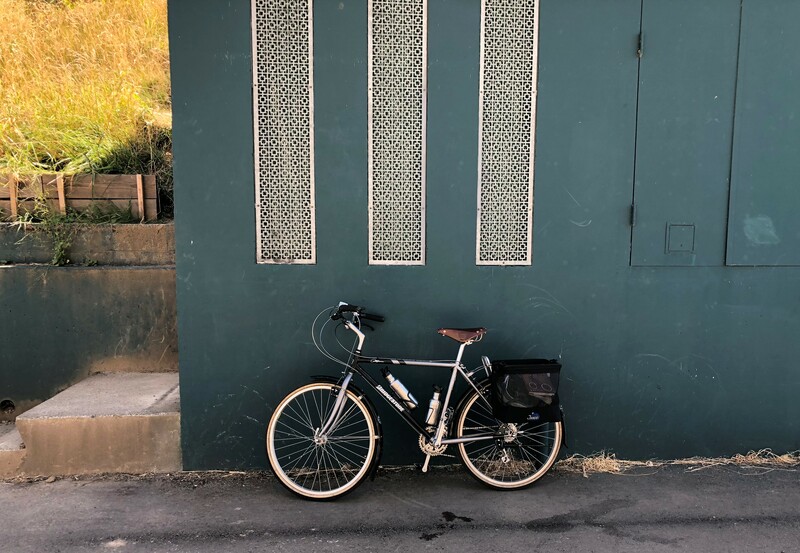 I couldn’t agree more with you about solidly engineered vintage parts that last decades while shunning the latest trends with happy efficiency. On a side note: I once used a Biopace chainring on a single speed and despite what you might think it was actually not too weird to ride. I’m not a closet Biopace advocate by any means but I needed a chainring for a bike to flip and inflicted this eccentricity on another rider for the purpose of making a sale. 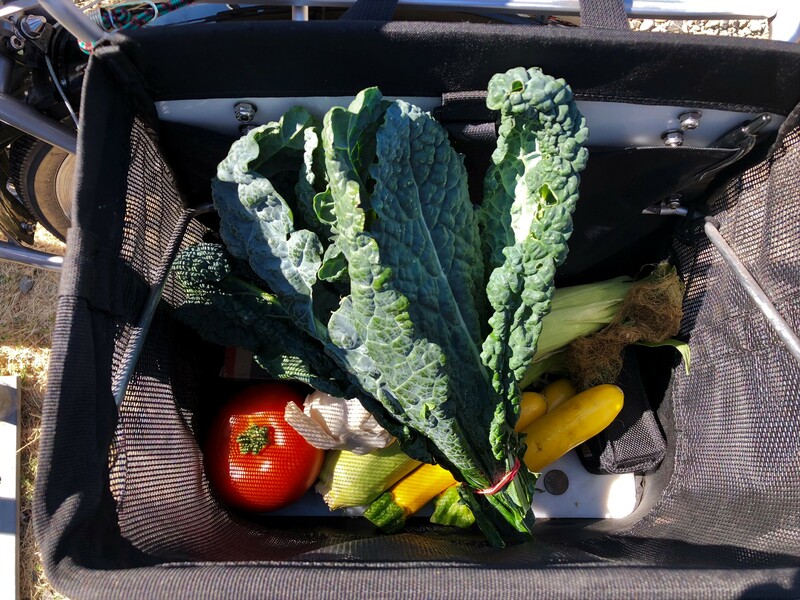 I’m sure I would’ve pulled the crankset just as you did but it came to me while reading this post that sometimes we cyclists just adapt to what we have if the need arises. Cheers! Thanks, John. I used Biopace chainrings on a Centurion Ironman, with no ill effects. Biopace got a bad rap, I think. 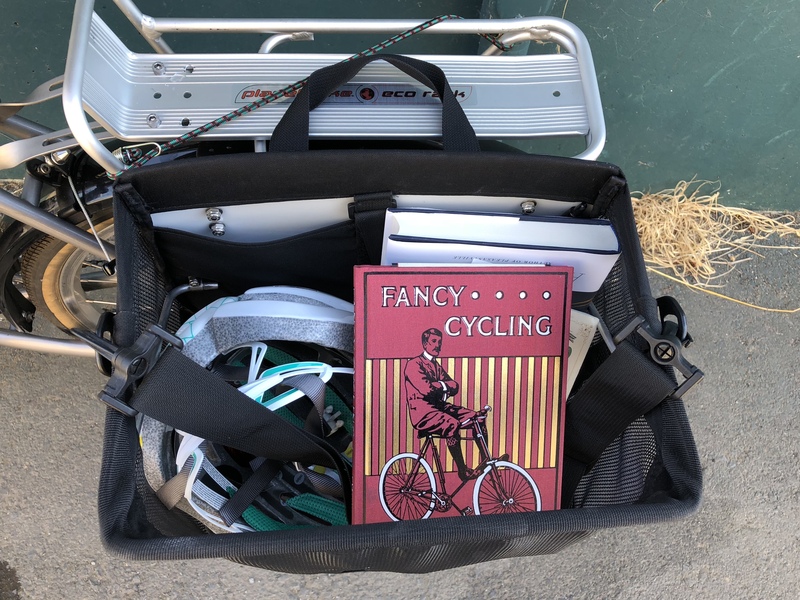 Many cyclists prefer them, including Sheldon Brown, R.I.P. 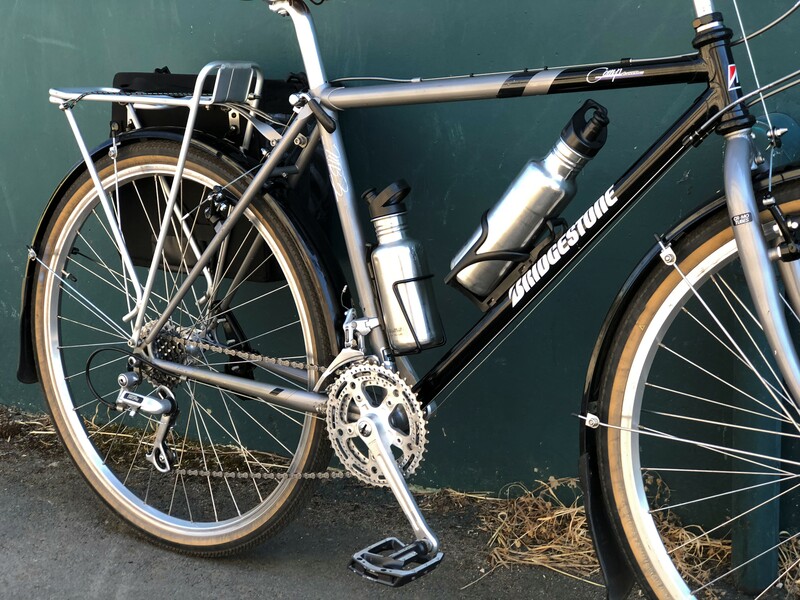 But, for this bike I wanted to use a different crankset with shorter crankarms – the original was a 175 mm Shimano, which I replaced with a 170mm crankset. Elliptical rings have been around for 100 years or so, and I do think that Shimano Biopace nailed the design pretty well. Very nice build! 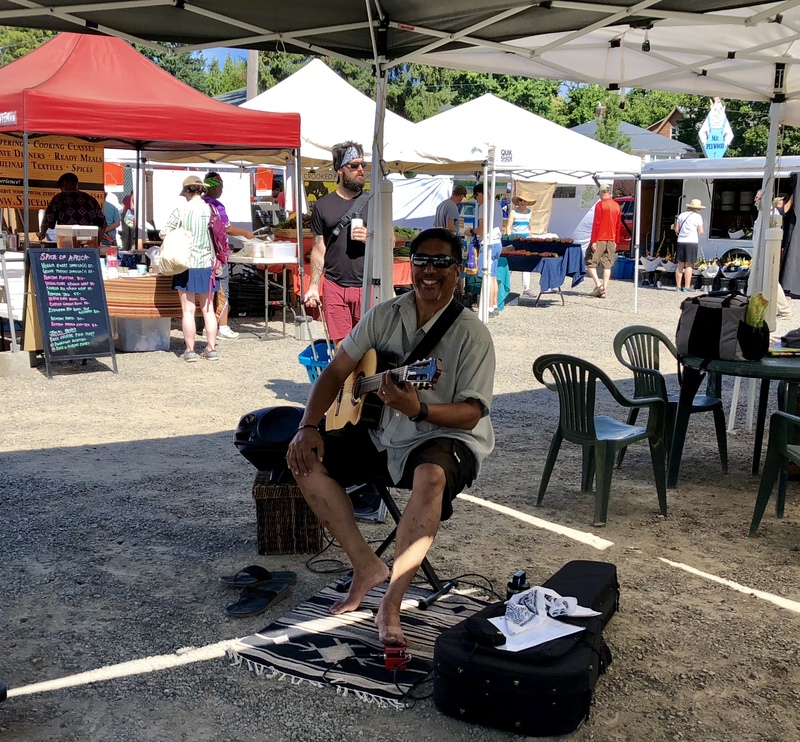 and no better place for a shakedown cruise than the farmers market! I just got a Bianchi Ibex lugged steel MTB that will eventually get the workhorse treatment so thanks for the template. I hope you enjoy the Ibex – Bianchi offered its lugged steel MTB version back in the day. Should be a nice project! 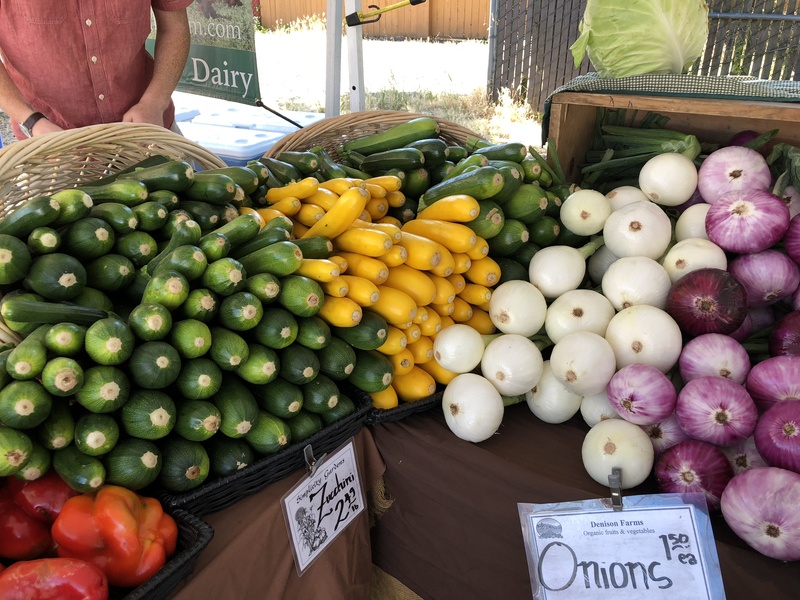 Yet another great blog, Nola. Keep them coming ! 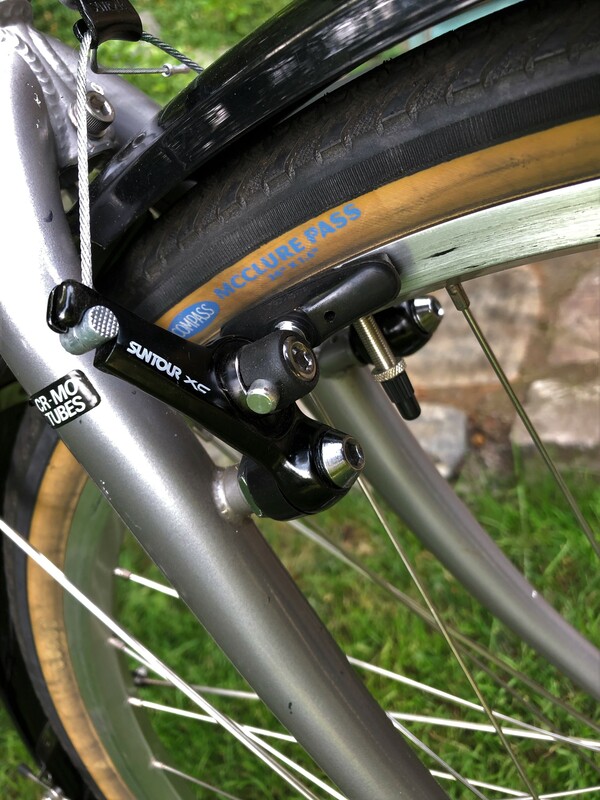 Nola, have you ever tried downtube SunTour Power shifters? 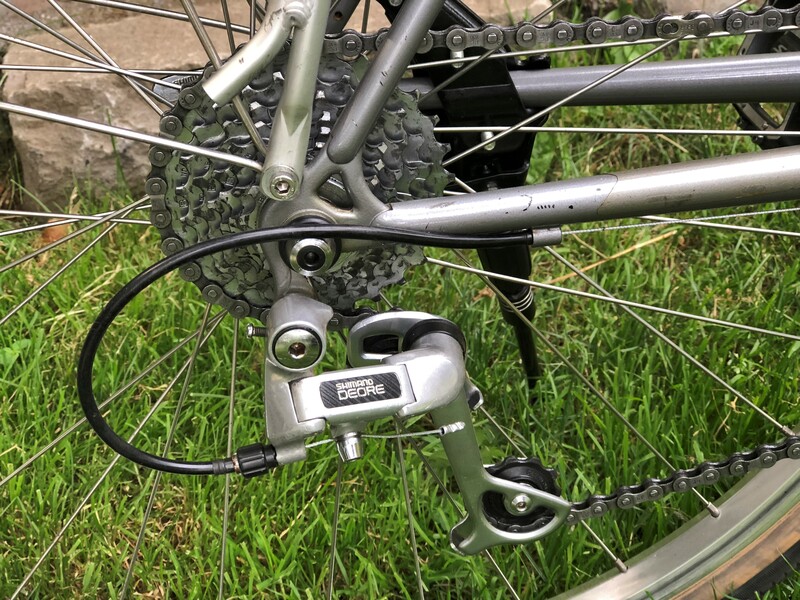 I had a pair on my Fuji S12-S LTD but upgraded them to shifters marked CHARGER. 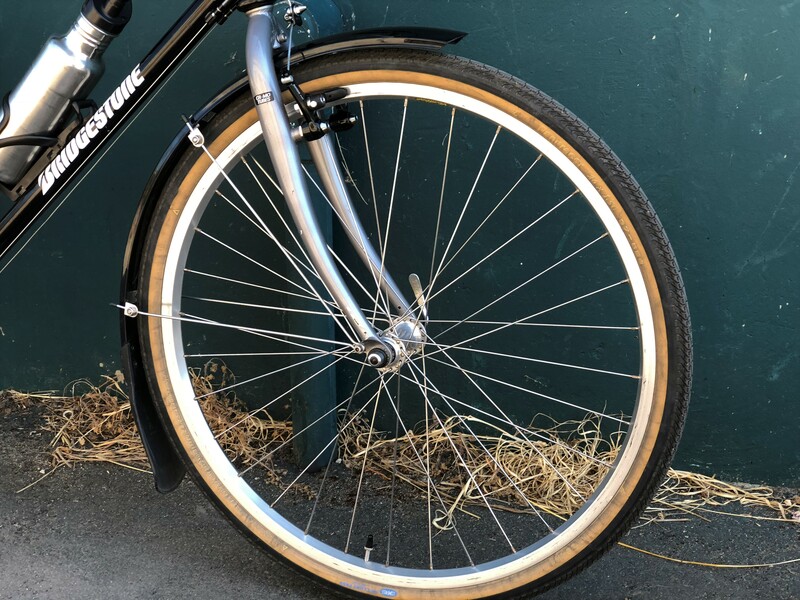 Jonathon – the thumb shifters I used for this Bridgestone are Power Shifters. I think the “Power Shifter” name was just a bit of marketing. 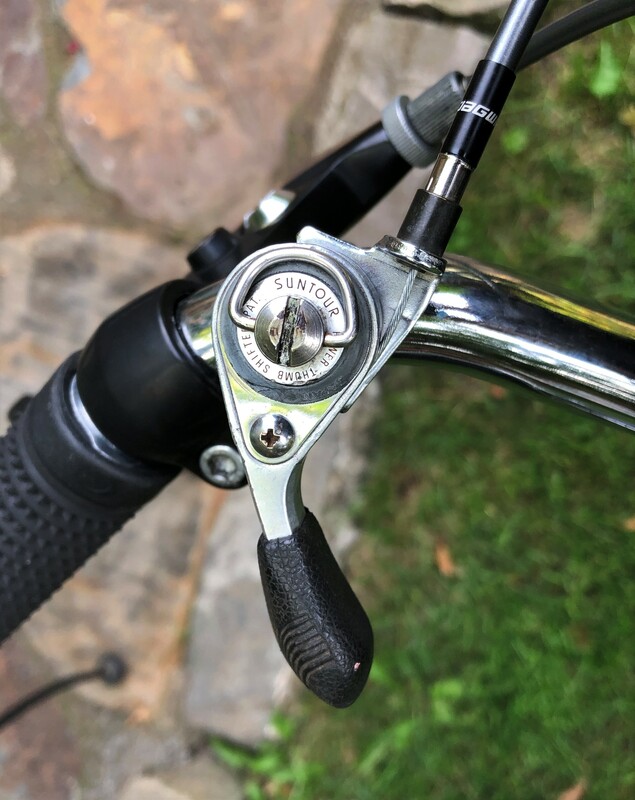 These thumb shifters operate similarly to Suntour “Barcon” shifters, both of which have a ratcheting mechanism so that the washer tightness only comes into play when the cable is slackened. Oh. I was talking about the kind of shifters you pull up and down. 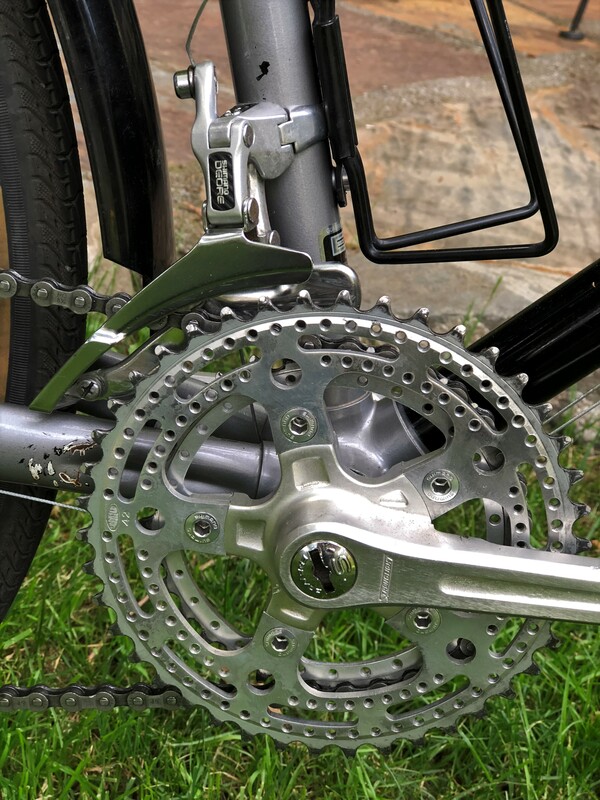 “Power Shifters” were SunTour’s name for ratcheting shifters – which included downtube shifters, bar mount shifters and Barcons. I paid $55 for my 1990 MB3. 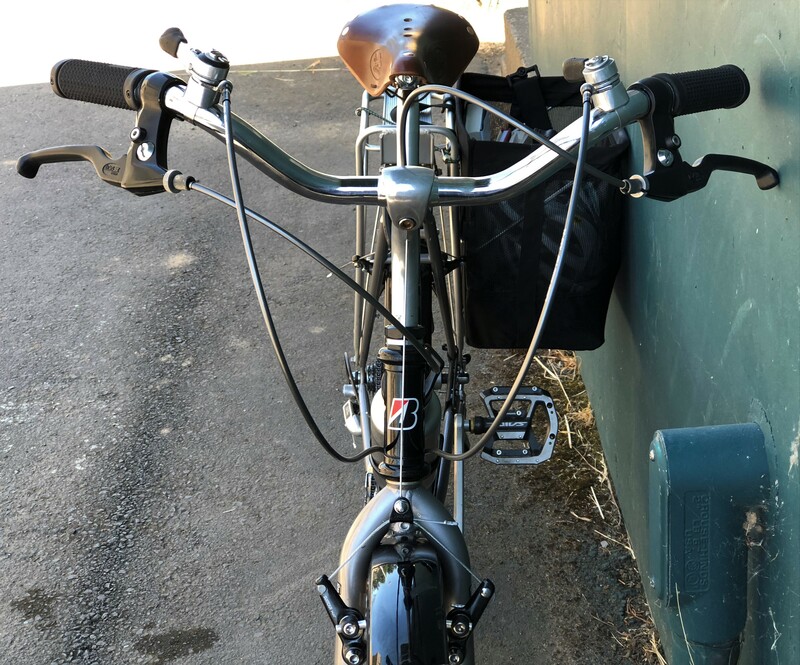 It was really ratty, so I had it powder coated and did some other mods, including moustache bars and a Brooks saddle. I really like this bike. It’s been my commuter for about 5 years. What a good investment you made!